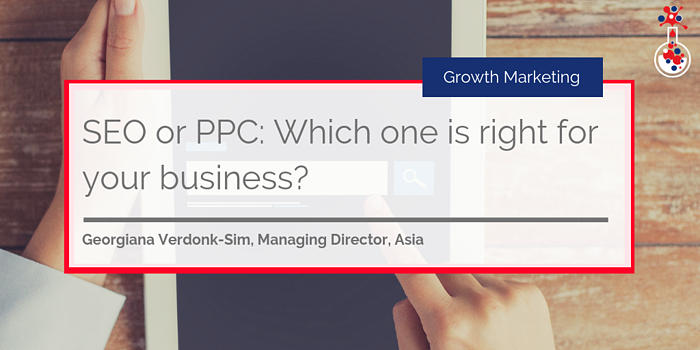 When it comes to your marketing activity, should you focus on search engine optimisation (SEO) or pay-per-click (PPC) advertising? It’s an age old question and in truth, one that has a rather simple answer. Many marketers swear by one or the other and are hell-bent on convincing people to do the same – but the reality is that the best marketing strategies don’t just use one or the other, but both. In such an unpredictable landscape, digital marketing strategies need to be comprised of a mix of tactics if they are to succeed and actually reach the right people. There is no one method which guarantees leads for a business. SEO and PPC are fundamental in any marketing strategy – so in this blog, we’ll explain the difference between the two, why you should use both of them together and the business benefits of doing so. For the uninitiated and the sceptical, search engine optimisation (SEO) can seem akin to a dark art. But let us simplify it for you. Search engine optimisation (SEO) is, according to Moz, the practice of increasing the quantity and quality of traffic to your website through organic search engine results. SEO includes creating and publishing keyword-rich content (optimising your website and your content for specific, long-tail keywords with search volume), linking to other pages on your website (as well as authoritative external websites), getting external links back to your website, keeping your content updated or ‘fresh’, ensuring meta data (meta descriptions, meta titles, alt text) is correct and much, much more. But perhaps, most importantly, keeping up with it all. SEO is constantly changing and influential search engines like Google change their algorithm on a regular basis – making it a difficult venture indeed. However, once everything is optimised for search, you will generate a stream of targeted organic traffic on a regular basis and improve your website’s ranking on SERPs (search engine results pages). Pay-per-click (PPC) on the other hand, is an internet advertising model in which you display your adverts under specific search terms or for specific audiences and you only pay when someone clicks on it. Essentially, PPC is a way of buying visits to your site in contrast to earning those visits organically through SEO. Google AdWords is the most commonly used online advertising service, and provides advertisers with a platform on which to place ads on Google search engine results pages, structure their ad campaigns, monitor ad performance and much, much more. PPC allows you to get ‘quick wins’, i.e. leads, almost immediately. Unlike SEO which is considered a long-term strategy, a PPC campaign can net you results very quickly if done correctly. But which one is better for your business? It’s not a matter of being ‘better’. One is a long-term strategy (SEO) that lays the foundation for good website practices and ongoing success. The other helps to accentuate that success through immediate returns and can help to build your business’ profile very quickly. You should, really, be using the two together! Rather than SEO or PPC, when it comes to boosting your website’s traffic and lead generation capability – an amalgamation of both is the most effective. Provided you have laid the foundation for your website with good SEO practices, PPC is the next logical step for further lead generation. Think about it: if your landing pages are optimised for search engines and target specific, long-tail keyword terms (allowing you to generate organic traffic over time) you can use PPC to increase the visibility of those pages, as well as drive targeted traffic to them. It’s not a matter of SEO or PPC! Firstly, PPC ads take up the first three or four search results on a search engine results page, so the visibility of any pages you advertise using PPC will be increased significantly. Secondly, if your landing pages rank just below the paid ads, searchers will see you as an authoritative source of information and be more likely to click on your organic results. Finally, PPC allows you to advertise specific pages to a specific target audience, meaning that if you advertise your landing pages using it, you will get clicks from people interested in the product or service that page offers. You might be wondering – why not use PPC to advertise website pages as well? OK, so here’s the thing: if you are paying to advertise your website pages, you want to make sure you advertise the pages that can deliver the most returns (i.e. leads). Your general website pages – i.e. your services pages – are not optimised for conversion, so if you use PPC to advertise these pages you won’t be getting much (if any) return. Landing pages, on the other hand, are designed to do one thing: convert leads. They have no distractions, no links, no unnecessary information – just a form and some copy explaining the offer available. To maximise your returns from PPC, advertise your landing pages and make sure that the ad copy for your PPC ads align perfectly and match your landing page. What else can you use SEO and PPC for? You can use both SEO and PPC to work out what results in the most conversions for your business. The immediacy of PPC (in that the results are instant) means that you can quickly work out what works and apply that to your organic search strategy or expand your strategy further. As mentioned briefly above, a combination of SEO and PPC can help to build the visibility of your website on SERPs. 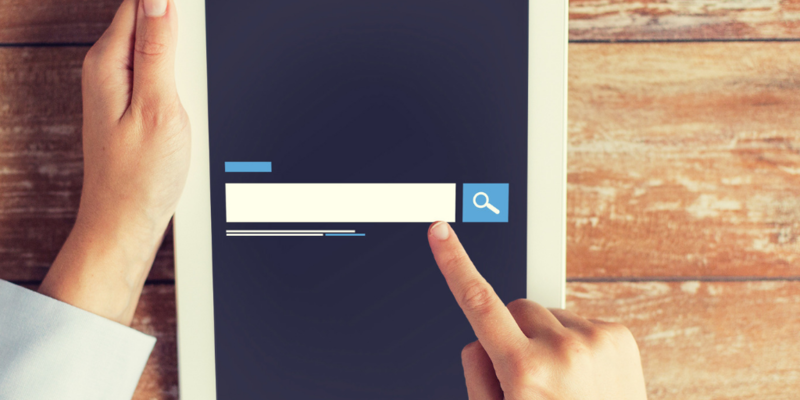 Paid ads take up the top three or four results on a SERP, so if another website page ranks below these results for a specified search term, you will be able to drive more people back to your website and generate more leads. There’s a form of paid advertising called ‘remarketing’ which allows you to advertise website pages (more specifically your product, service or landing pages) to website visitors who have previously been on your website. The way it works is that when website visitors arrive on your website, a cookie with special tracking code is placed on their browser – you then use these cookies to serve targeted ads to website visitors. This can be an incredibly useful tool when trying to convert previous website visitors who viewed a product, service or landing page and did not make a purchase or convert. Using PPC and SEO, you can easily work out what content your target audience is interesting and which pieces of content generate the most leads. Using that information, you can brainstorm future content related to your existing lead-generating content for ongoing success. Targeting some keywords – i.e. short-tail, highly competitive terms – can be expensive. Instead, you can use PPC to target more cost-effective terms relevant to what your business provides and get some quick and easy wins. Whilst PPC generates you easy leads you can use SEO to improve its capability and expand your keyword strategy to target new and lucrative keyword terms. Remember, to lay a solid foundation for your website, you need to start with SEO. Once everything is in place and working correctly, amplify your performance by including PPC in the marketing mix. The collusion of both SEO and PPC can increase your lead generation significantly, but only if done correctly. If you are looking for help with SEO and/or PPC, we can help. Our team of Inbound Marketing scientists have extensive knowledge of both SEO and PPC and have developed SEO strategies and PPC campaigns for businesses of every size and across the globe. To find out more, click here to get in touch.